I'm still recovering from the 31 Day Challenge and have only painted my nails twice this week, and I haven't edited either of them, so today I'm pulling something from the vault to post. I can't quite remember when I did this mani, but I used two China Glaze polishes for the gradient, That's Shore Bright and Bottoms Up. The gold polish on my ring finger is Sally Hansen Liquid Gold from their Color Foil collection. 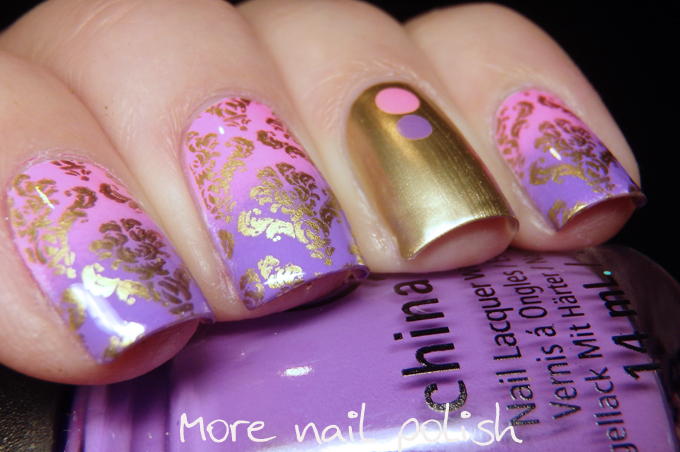 The stamping polish in Mundo de Unas gold, which is a perfect match for the Sally Hansen shade. 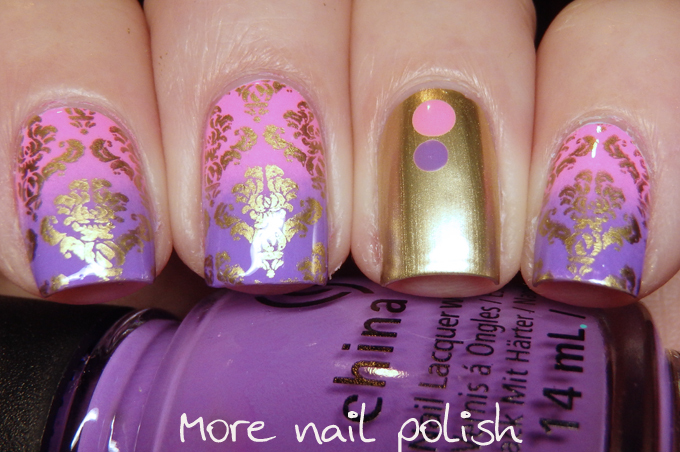 The damask design is from Moyou London Fashionista 07 plate that I got here in Aus from Picture Polish. Yep - I got mine from ebay last year. There was nowhere else to get them!